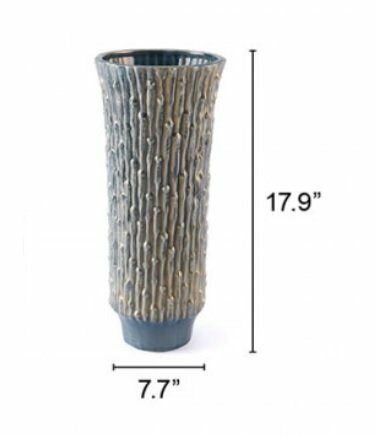 Gorgeous linear and knotty texture covers this beautiful vase in blue with a distressed gold finish. Eclectic and elegant, it will be a stunning accessory in your modern home. Display it alone or with it's coordinating companion.